GW Custom Basses and Lutherie - For Bassists by a Bassist - About The Luthier Grandon Westlund, "The Bass Kahuna"
GW Basses & Grandon Westlund, "The Bass Kahuna"
and know how much you must coax out. How easy it would be, instead, to pull a sword from a stone. But what's inside The Bass wants out." So you want to be a Luthier? How does one decide to become a Luthier? For me, it is more of a calling than a career choice. I have been involved with music and woodworking from my earliest memories as a young child. Everyone, on both sides of my parent's families have been musical people as well as artisans and craftsmen/women. My grandfathers were carpenters, as well as my father and uncles, all being involved either full or part time in carpentry, either as house framers, cabinet makers, repairs, remodelling, etc. Therefore, an integral and most important part of my upbringing was a combination of creativity, music and sawdust. Since I started playing guitar in grade school, I have yet to own a guitar or bass that I didn't eventually modify in some form or fashion in an attempt to improve it somehow. Either refinishing, doing my own setups, rewiring, routing for new pickups, putting figured tops on guitars or basses that didn't have them, etc. Granted, early on, not all of my attempts turned out for the best, but I continued to learn, read, study, and grow. I also built various pieces of custom furniture, did quite a bit of remodelling and related carpentry work. I also attended college for Electronics (including tube theory and repair), earning a degree in Electronics and Computer Technology. As time passed and my experience and abilities grew, I built guitars and basses on a onesy-twosey limited basis for a very few select individuals as well as taking in countless repairs and setups more as a serious hobby or part time job while I worked in the fast paced, hectic and unrealistically demanding IT field and focused my remaining energies on my abilities as a bassist. I gained a solid reputation as a live and studio session bassist, earning the moniker of "The Bass Kahuna", and as a guitar/bass tech, and even wrote a guitar and bass repair column for a well known Southwest music monthly magazine. After much soul searching I came to understand that building - nay - creating basses was what I needed to do, and after quite a bit of research and business planning I decided to forsake the IT Industry and with it Corporate America and change careers and build my own business as a full time Luthier buildling my own Custom Basses. For those of us who understand that we don't just play bass, but that being a bassist is a calling, a state of mind, even a lifestyle. It is in our soul and part of what makes us who we are - there is a connection between our hands, our souls, and our basses. Just the feel of a bass resonating against our body, even unplugged, is something we understand to be bigger than our concious mind and language can describe. We bassists understand that it can't just sound good, it has to "feel" good too! Most other musicians don't live in the world where rhythm and melody must meet to make a song, to make music that connects with that primitive, reptile portion of our brain that makes us feel the need to move our bodies, that touches our hearts, our souls, and pulls on our emotions and memories. That is what we bassists do. Our ability to lay down a groove, to lock in with the drummer to drive the whole band and thereby the listener, the connection and experience that is music. For me building a bass is so much more than just the refined mechanical abilities of carpentry and lutherie. Building a bass is just like writing a song or painting, or any other form of human creativity. After all of the drawing and designs, the mathematical calculations and models and renderings, to really build a bass you have to learn to let go of conscious thought and allow yourself to channel the creative energy that connects you to the wood from which the bass will leap to life. The wood knows how best to be a musical instrument that will instill the passion of creativity in the hands of the person who will play it, and it will tell you how, if you are open to hear it. I build basses to fuel and expand on that unconscious and most visceral of connections between your soul, your hands, and your bass. I understand that connection, I speak your language, I too, am a bassist. Live the dream. Play bass. So... what's with all the purple? 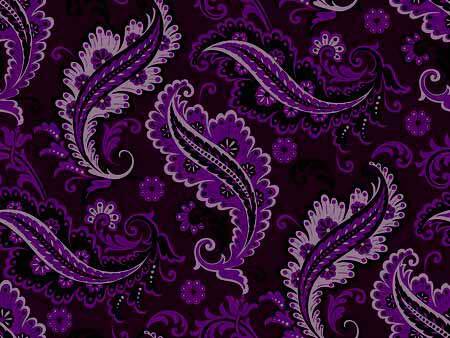 Purple is my favorite color! And yes, I play bass too! I've had a pretty good career playing bass as well. 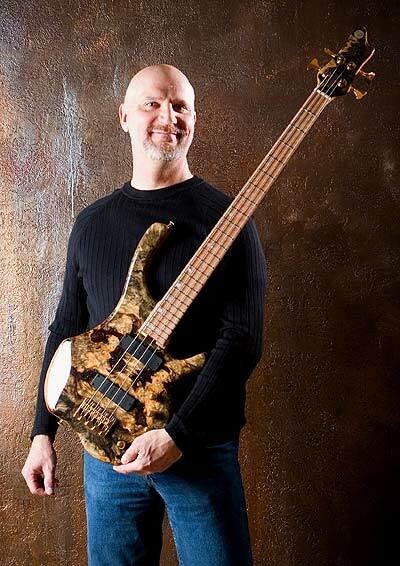 It has given me a ton of insight and ideas for my custom basses from a players perspective. If you'd like to know more about me as a bassist and my playing, new releases or upcoming performances, you can checkout my site for me as a bassist at www.BassKahuna.com, or at my MySpace page at MySpace.com/Basskahuna.